The gaming industry is more competitive than ever, which is why your company needs Outsource2india's (O2I) Gaming Industry Data Entry services. In a world where constant development and rapidly-evolving products can make or break a business, your gaming company needs all the time and resources it can get its hands on. The last thing you need to worry about is cumbersome data entry. O2I's Gaming Industry Data Entry services can take the burden off your shoulders, giving you more time to do what you do best: innovate. The term "gaming" has expanded into different media, outlets and technologies, making it difficult to keep up with the rapid pace of change. This kind of ingenuity also makes it one of the most exciting fields today. With all that technology, however, comes plenty of data that needs to be processed and stored. O2I uses the perfect combination of trained data entry specialists and cutting edge software to provide clear, cost-efficient results. We understand the gaming industry and how platforms such as mobile technology and the Web have changed it. Gaming companies face many challenges due to rapidly-changing technology and the need to enter new and emerging markets. In the gaming industry, you need as much time and as many resources as possible to maximize your company's potential. O2I is more than just a data entry company. 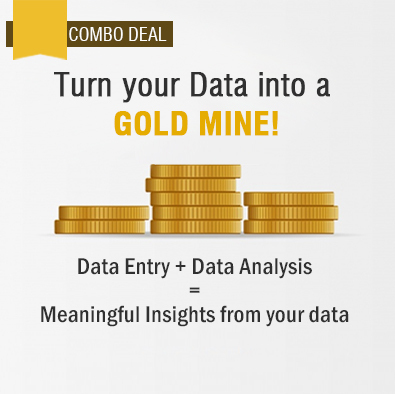 We are your team-mate in the gaming industry, helping you score big when it comes to optimizing data entry results! More time to focus on key business areas: O2I's data entry services will free up precious time so you can focus your energies on strengthening your core competencies and brand. Adopting this strategy can help you survive in the face of increasing competition. Trained personnel and sophisticated technology: By outsourcing your data entry services to O2I, you get access to trained personnel that can help you quickly turn around a huge volume of work within short periods of time. Additionally, outsourcing can help you cut costs, leaving you with more funds to make alternative investments. Assurance of quality: By outsourcing data entry projects to O2I, you can rest easy knowing that we employ a rigorous Quality Control (QC) process, so you can anticipate error-free output from us every time! O2I's Gaming Industry Data Entry services help our partners in the gaming industry stay competitive. Our goal is to provide the highest quality data entry services in the least amount of time, and at a reasonable cost. Contact us today!